If you’re reading this, you should keep a journal. They’re particularly useful for seniors, for reasons we’ll discuss, but all of the reasons they’re useful for older adults make them useful for everyone. You can try to write in it every day, or just when you feel particularly compelled, but the more you do it, the more you can experience the advantages. Don’t worry if you’re “not a good writer”; in a journal, there’s no such thing. Write what you feel, write about what happened during your day, and experience the power of journaling. Journaling helps you remember things, in two useful ways. First, when you write in a journal, you’re forced to recall your day; what did you have for lunch, and how much did you exercise? When journaling, use good old-fashioned pen and paper; writing in this manner has a bigger impact on recall than typing something up. The second way it helps memory is, well, by being a transcript of what you’ve done! Let’s say you’re experiencing lower than usual appetite, and you go to your doctor about it after some time. Your doctor will ask you when it started; without having recorded it, you’re basically taking a guess, but having a journal means you can pinpoint the exact date you noticed your appetite was lower! Journals are also impartial, ever-present counsellors; you can write down how you feel, what made you feel that way, and your general thoughts. You can express yourself creatively, reflect on your day, and develop more complex ideas about your experiences any given day. When you’re feeling sad, angry or anxious, writing in a journal can help you suss out those feelings in a more concrete way. This is especially useful if you feel like you don’t have anyone to turn to; writing down what you feel can help you find the words to talk about it with those you care about. Some say knowledge of the self is the only true knowledge you’ll ever obtain, and a journal can help you get there. Our thoughts are often scattered or subconscious; journals help you concentrate those thoughts and feelings into words. They’re also limitless in their uses; you can draw in your journal, pen song lyrics, write poetry, make lists; whatever you can create with a pen and paper, you can put in your journal. That can help you discover more and more of yourself, a truly gratifying process. This is all particularly helpful to seniors, of course, because it’s important to keep cognitive faculties and a sense of self at a high as we age. When journaling, seniors may find that the source of many of their problems are stressors they can no longer handle alone. When that’s the case, trustful private home care services can step in to help take away some of the burden. 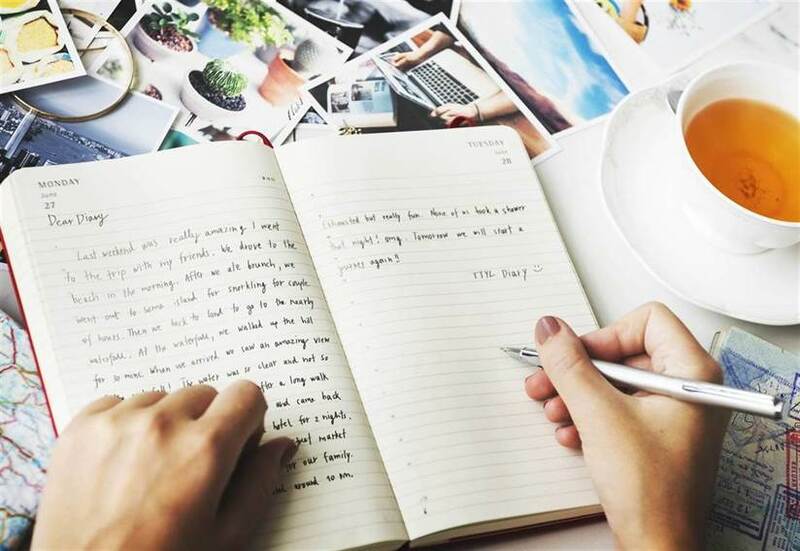 That leaves more time for doing what you love, and more time for journaling; with a helping hand, you’ll find that stress dissipates more quickly than it came.